Equipped with 3 axle lines (6 axles) low-bed trailer. 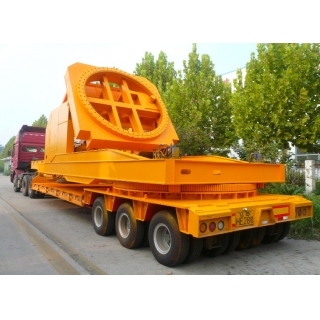 Adaptor adopts slewing bearing (external tooth type) and hydraulic slewing gear drive. Angle of depression is 60° maximum (-5°to 55°). It can turn 0-360° when balance angle. 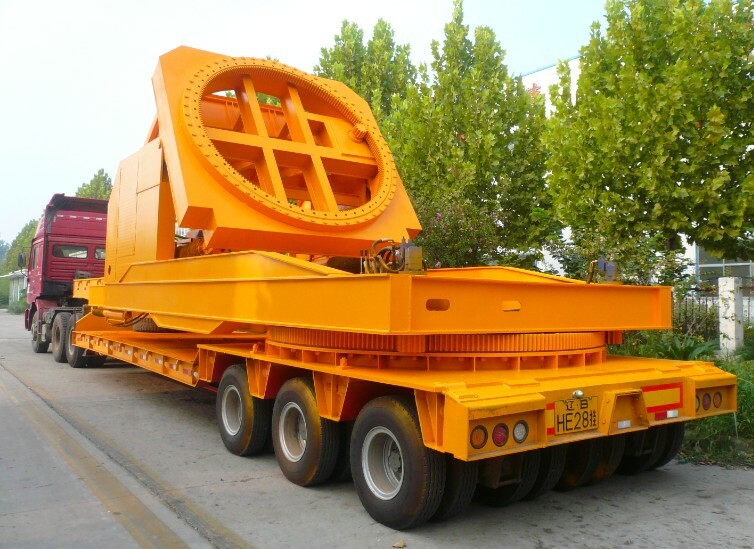 User should provide flange connecting hole size of blade end, blade length, blade weight, blade center of gravity position, and so on.